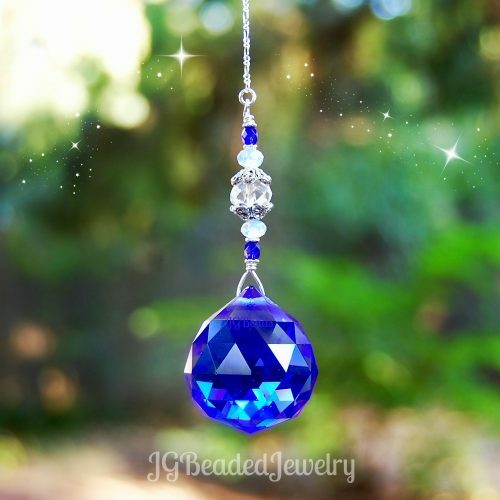 Iris blue dragonfly crystal for the rearview or window! 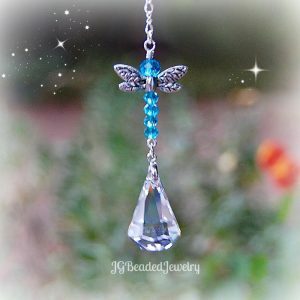 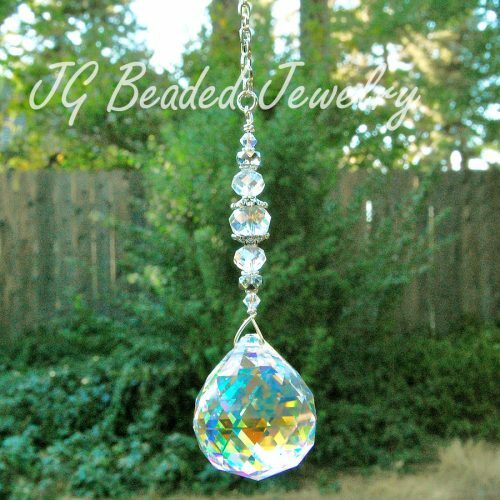 This iris blue dragonfly crystal suncatcher is uniquely crafted for the rearview mirror or window at home, the office, nursery, sun room, garden or wherever you choose! 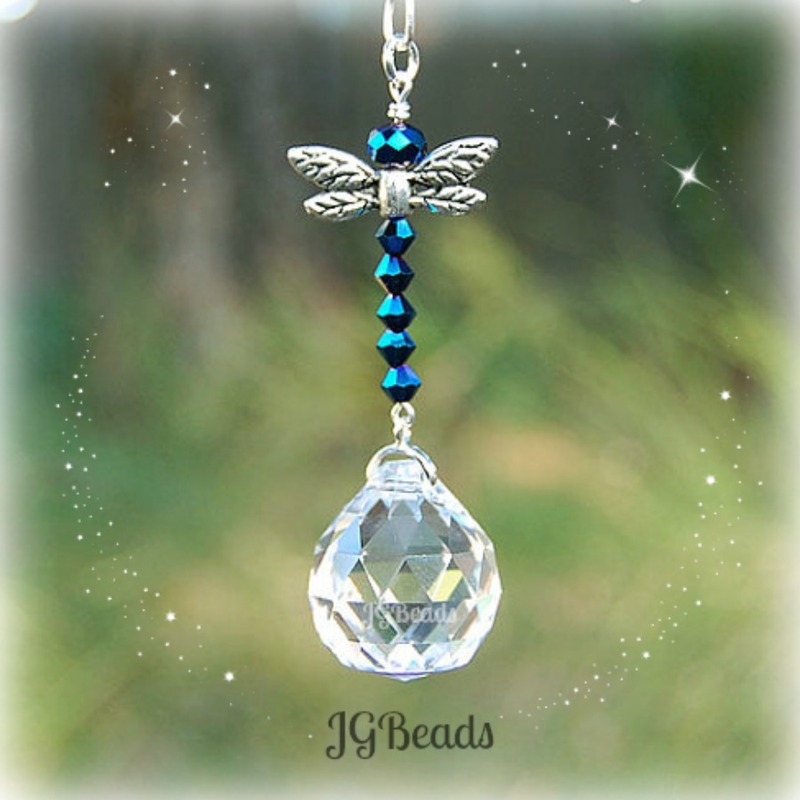 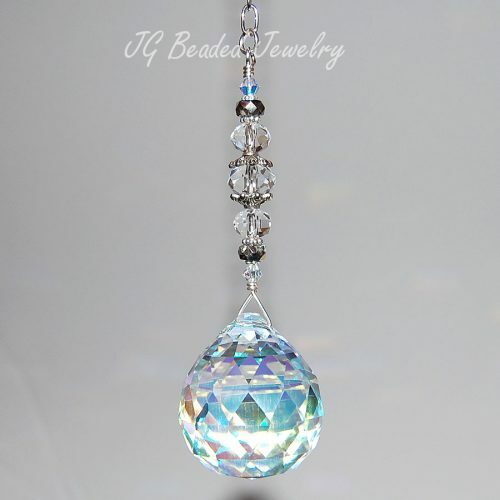 The clear 20mm prism crystal is embellished with faceted iris blue crystal beads and detailed silver dragonfly wings.